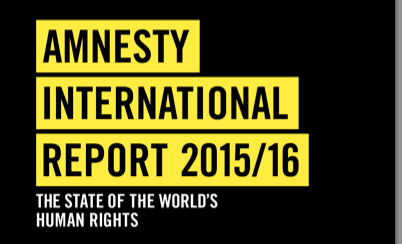 In its just-released annual report, Amnesty International has sharply criticized the Government of India for arbitrarily arresting and detaining “human rights defenders, journalists and protesters”, pointing out how authorities have been using the Foreign Contribution (Regulation) Act (FCRA) to restrict organizations from receiving foreign funding and harass NGOs and activists. Referring to the continued use of Armed Forces (Special Powers) Act, Amnesty says, "Impunity for violations by security forces in India persisted, and legislation granting virtual immunity from prosecution for the armed forces remained in force in Jammu and Kashmir and parts of northeastern India." Then, Amnesty says, "In December, Parliament passed amendments to juvenile justice laws which allowed children aged 16 to 18 to be treated as adults in cases of serious crimes, in violation of India’s international legal obligations."